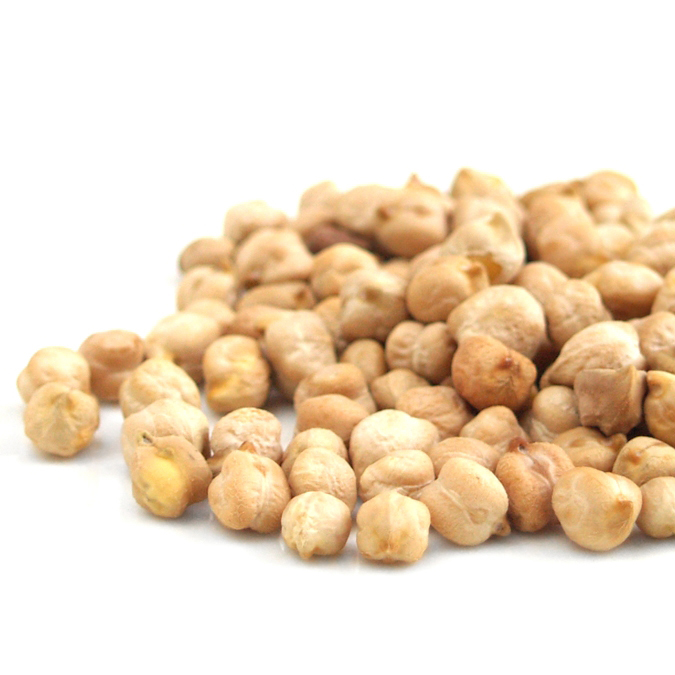 Garbanzo bean are a legume, also known as chickpeas, Bengal gram, chana, and other names. “Longevity legumes” such as chickpeas have been used in traditional medicine to treat high blood pressure and diabetes. They contain many nutrients, antioxidants, phytochemicals, and phytates. Chickpeas contain five times more the antioxidant content when sprouted. Including chickpeas in one’s diet may reduce risk of the type of prediabetes known as metabolic syndrome. Chickpeas are anti-inflammatory and contain an abundance of non-heme iron—the safest form of iron. Chickpeas, along with other legumes, have been responsible for dropping C-reactive protein levels. Eating beans, chickpeas, split peas, or lentils at least three times a week was associated in one study with 33% less risk of colorectal polyps. A cup a day of beans, chickpeas, or lentils for three months may slow resting heart rate as much as exercising for 250 hours on a treadmill. Dr. Greger has scoured the world’s scholarly literature on clinical nutrition and developed this new presentation based on the latest in cutting edge research exploring the role diet may play in preventing, arresting, and even reversing some of our most feared causes of death and disability. Rural India has the lowest validated Alzheimer’s rates in the world. Is it due to the turmeric in their curry, or their largely plant-based diets? Legumes such as lentils, chickpeas, beans and split peas may reduce cholesterol so much that consumers may be able to get off their cholesterol-lowering statin drugs, but to profoundly alter heart disease risk we may have to more profoundly alter our diet. There’s a reason that professional diabetes associations recommend bean, chickpea, split pea, and lentil consumption as a means of optimizing diabetes control.